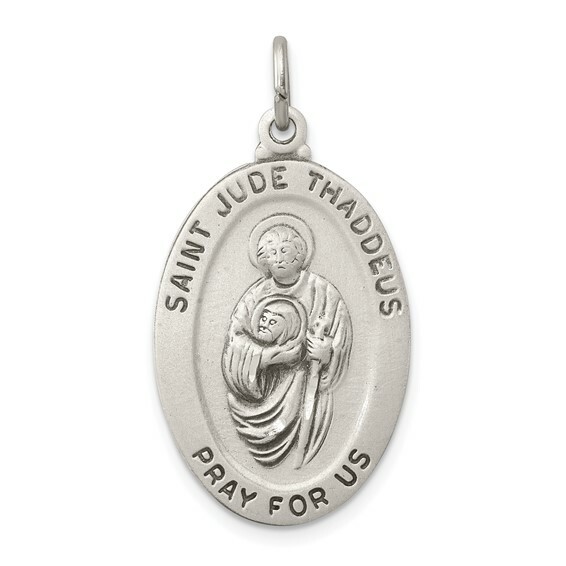 St Jude Thaddeus oval medal is made of solid sterling silver with antique finish. Weight: 2.9 grams. Item size: 1 inch tall by 11/16 inch wide without bail. Made in the USA.